Our instructors include award-winning novelists, journalists, essayists, translators, and editors. Each instructor comes with to us with years of university-level teaching experience. We speak French, Spanish, German, and English, and have traveled and published widely (check out our recent publications), but teaching is our passion. Mia Bailey is an artist and writer. She received a B.A. in Comparative Religions from SOAS at the University of London, a six-year graduate Fine Arts degree in painting from the State Academy of Fine Arts in Karlsruhe, Germany, and an MFA from the Iowa Writers' Workshop, where she was a Maytag Fellow. Her writing has been anthologized in Strangers in Paris: New Writing inspired by the City of Light (Tightrope Books Canada, 2011). Her visual art has been exhibited in Germany, Switzerland, Australia, and Korea, and she has received grants and fellowships from the Stanley Thomas Johnson Foundation, the Cité des Arts, and the Audiovision and Multimedia Commission Basel. She is the 2017-2018 recipient of the Richard E. Guthrie Fellowship. She was born in Bangkok, Thailand, grew up in Australia, Canada, France, and Japan, and holds both Australian and German citizenship. Amy Benfer is a writer and editor formerly based in San Francisco and New York City, now based in Berlin. A graduate of Wesleyan University, she began her career at Salon, where she wrote and edited essays, reported features, and wrote for their feminist blog, Broadsheet. She has also been a senior editor at Legal Affairs magazine, managing editor at PAPER magazine, and a senior writer and deputy arts editor at Metro newspapers. Her arts criticism, features, and essays have appeared in The Believer, Mother Jones, The Guardian, The LA Times, The New York Times, Paris Review Daily, NBC News, Bloomberg Businessweek, Glamour, and Elle. Since moving to Berlin in 2015, she writes frequently on European bands for Bandcamp Daily. Daniel Castro is a writer and journalist. His work has appeared in Harper's, Salon, the Miami Herald, and Tampa Review. He holds an MFA in fiction from the Iowa Writers' Workshop, and has won awards and fellowships from the Fulbright Association, Cintas Foundation, Louisiana Press Association, the MacDowell Colony, and the Faulkner Society. He has taught at the University of Iowa and the Sackett Street Writers' Workshop. Tom Drury is the author of numerous short stories, essays, and the novels The End of Vandalism, The Black Brook, Hunts in Dreams, The Driftless Area, and Pacific. His fiction and nonfiction have appeared in The New Yorker, A Public Space, Granta, Ploughshares, Harper’s, The New York Times Magazine, The New York Times Book Review, and Tricycle: The Buddhist Review. A graduate of the MA creative writing program at Brown University, Drury is originally from the American Midwest and currently lives in Berlin. He has taught creative writing at Wesleyan University, Hollins University, Bard College Berlin, and the University of Leipzig, where he was named Picador Professor for Literature in spring 2017. His novel Pacific, published in 2013, was longlisted for the National Book Award, and he has received fellowships from the Guggenheim Foundation and the American Academy in Berlin. His novels have been translated into Spanish, French, Italian, and German; Grouse County, a trilogy of his Midwestern novels, was published in German by Klett-Cotta in the fall of 2017. Kathleen Heil writes and translates poetry and prose. Her work appears in The New Yorker, Beloit Poetry Journal, The Guardian, The Barcelona Review, Fence, The Threepenny Review, and many other publications. She holds an MFA in Creative Writing & Translation from the University of Arkansas, where she also taught workshops in poetry, fiction, and literary translation. A recipient of fellowships and awards from the National Endowment for the Arts and the Robert Rauschenberg Foundation, among others, she lives in Berlin. Madeleine LaRue is a writer, editor, and translator from German. She is the associate edit or and director of publicity for Music & Literature, and has worked as an academic editor and writing tutor since 2008. She has degrees in Art History (B.A.) and Cultural Translation (M.A. ), both from the American University of Paris, and is a TEFL-certified teacher of English as a Foreign Language. She has taught students of all ages in private academies in the Czech Republic, Taiwan, and Germany. Originally from Colorado, she has lived in Europe (and Asia) since 2006. Matthew Nelson-Teutsch is a fiction writer and educator. Previously based in Washington, DC, northern California, and New York City, he now lives in Berlin. A graduate of the George Washington University, and the Iowa Writers' Workshop, he has taught writing and literature courses at the University of Iowa, Evergreen Valley College, the Fashion Institute of Technology, Adelphi University, and Baruch College (CUNY). His writing has been awarded the Hassan Hussein Award and the Deena Davidson Prize for fiction. He is currently at work on a novel. An Paenhuysen works as an art critic, cultural historian, and curator of contemporary art in Berlin. She is the author of a book on the Belgian avant-garde in the 1920s, based on her PhD work, which was published by Meulenhoff-Manteau in Belgium. She has worked as a post-doc fellow at UC Berkeley, Columbia University, New York, and Humboldt University, Berlin and published in many academic journals such as New German Critique. As a curator, An is the author of several catalogues. She has also contributed to such magazines as Contemporary And, Spex, and Sleek Magazine. Her regular column C’est du Belge appeared in Junge Welt. She recently published Little Thoughts in Art with TFGC Publishing. An teaches art criticism and creative writing in art at the Node Curatorial School. Anne Posten translates prose, poetry, and drama from German. The recipient of a Fulbright Fellowship, she has translated such authors as Carl Seelig, Thomas Brasch, Tankred Dorst, Anna Katharina Hahn, Monika Held, and Paul Scheerbart for New Directions, Christine Burgin/The University of Chicago, n+1, VICE, The Buenos Aires Review, FIELD, Stonecutter, and Hanging Loose, among others. She has taught writing and literature at Queens College, SUNY’s Fashion Institute of Technology, and the Humboldt University in Berlin. She holds a BA in German Language and Literature from Oberlin College and an MFA in Creative Writing and Literary Translation from Queens College, CUNY. She is based in Berlin. 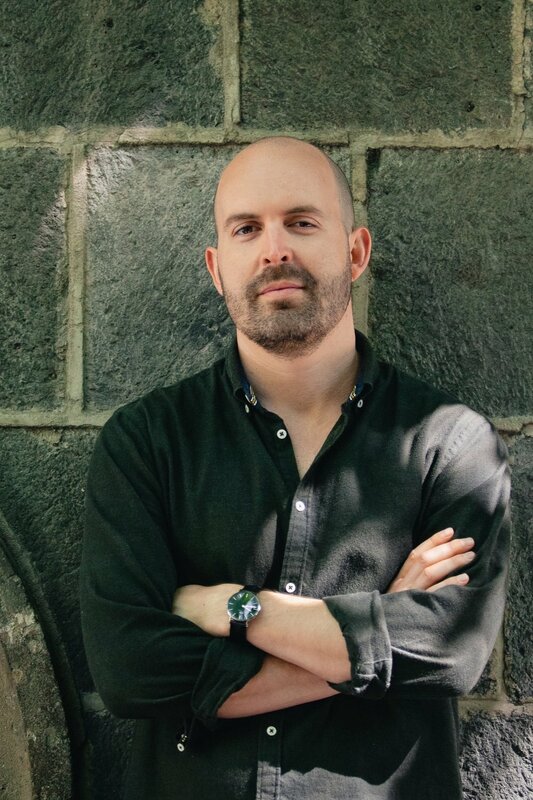 Ryan Ruby is the author of The Zero and the One (Twelve Books, 2017). His fiction and criticism have appeared in The Baffler, Conjunctions, Dissent, Lapham’s Quarterly, n+1, and The Paris Review Daily, among other venues. He has translated novellas by Roger Caillois and Grégoire Bouillier from the French for Readux Books. He is the recipient of the 2019 Albert Einstein Fellowship and is currently an Affiliated Fellow of the Institute for Cultural Inquiry in Berlin. Rebecca Rukeyser is a fiction writer and the recipeint of a 2018 Arbeitsstipendium nichtdeutschsprachige Literatur 2018/ Grant for Non-German Literature, awarded by the Berlin Senate Department for Culture and Europe. Her work has appeared in such publications as ZYZZYVA, The Massachusetts Review, and Best American NonRequired Reading. She has taught creative writing at the University of Iowa and teaches fiction writing at Heinrich Heine Universität, Düsseldorf. As well as holding an MFA in Fiction from the Iowa Writers Workshop, she is a TESOL-certified teacher of English as a Foreign Language. She served as Writer-in-Residence at a Shanghai-based consumer psychology and market research firm. 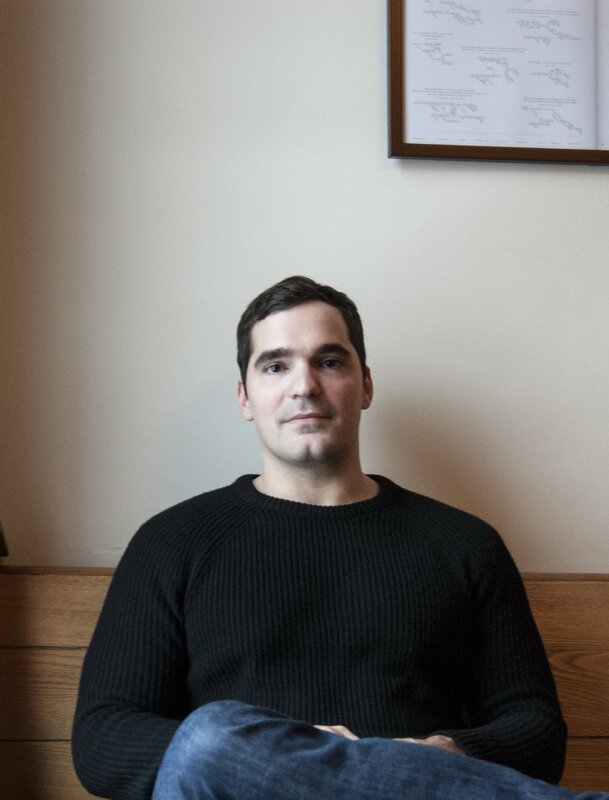 Bennett Sims is the author of the novel A Questionable Shape (Two Dollar Radio, 2013), which received the Bard Fiction Prize and was a finalist for The Believer Book Award, and the collection White Dialogues (Two Dollar Radio, 2017). He is a recipient of a Michener-Copernicus Society Fellowship. His fiction has appeared in A Public Space, Conjunctions, Electric Literature, Tin House, and Zoetrope: All-Story, as well as in the Pushcart Prize Anthology. He holds an MFA from the Iowa Writers' Workshop and has taught at Bard College, Grinnell College, and the Iowa Writers' Workshop.